"This drink originated in Fredericton, New Brunswick, Canada. There are several different variations. I added the lime juice myself for the extra zing. Very fruity to cover the taste of alcohol. The primary flavours are coconut and pineapple. Garnish with a cherry, some orange peel, or a lime wedge." 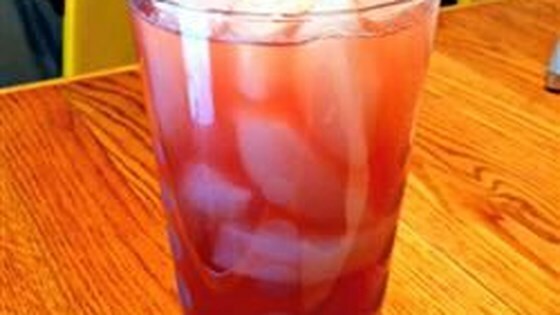 Pour the rum, amaretto, lime juice, pineapple juice, and cranberry juice into a tall glass with ice; stir. A classic cocktail in NB!! This is a nice cocktail, kinda like DMB...easy listening. I elected to use white rum because I hate coconut and I couldn't resist adding a splash of Diet 7-Up because I love bubbles. Cheers! LOVE the Dave Matthews! It's my fave drink! Thanks for posting the recipe! My favourite drink; sweet and smooth. I added an extra ounce of Cranberry juice, as well as 2 Marichino cherries + about 1 tbsp of the syrup. Absolutely delicious. Love this drink. Just love it. Yummy drink. I may try this as a martini next time.